Everyone speaks about how wonderful it is to have a baby and how amazing being a mother feels. For all those who have been following my blog will concur with the fact that all the information you have from me about having a baby and the times after that are all fun and merry work. But it is not entirely that. Post delivery challenges are real and affect mostly everyone. If you meet a mother, who admits to having sailed through without a hiccup, the time after she delivered her baby, she is either too strong willed to accept defeat or she is just too proud to accept that anything was off. Let me make one thing very clear. Getting pregnant and having a baby are the two most rewarding experiences of a mother’s lives. When I talk about the downside of post delivery experiences, I do not in anyway undermine the joy of birth. I am merely making the reader aware of what a new mother goes through in varying proportions. Post partem depression or PPD is real and grips women when they are least suspecting it. The counter to PPD is given as, ‘she just had a baby, how can she be sad?’ Well, women who are diagnosed with PPD do not hate their babies. In fact, they succumb to PPD because of the baby in their lives. Suddenly, a life depends on them for its well being and health and that overtakes every other thing on the mother’s mind. Multiply that feeling of responsibility with raging pregnancy hormones in the system and you have a mother who is too weepy, emotional, angry and frustrated all at the same time. Add to that, being sleep deprived does not help the new mothers one bit. I, for one, am the most non-weepy person there is. 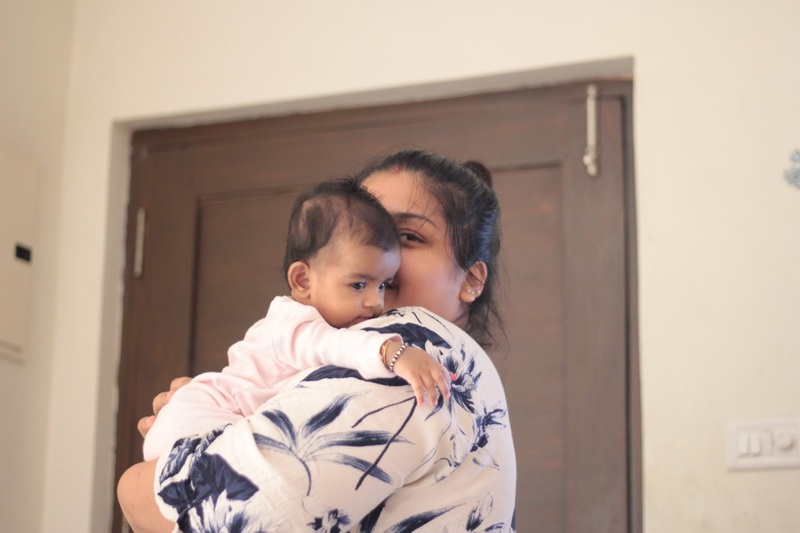 I did not shed one tear or feel all too overwhelmed when I heard the baby’s first cry and saw her in the box but I cried my eyes out the first night I sat through nursing the baby. Hormones. Luckily, I had the support of my husband and the family to help me with the baby and I was back to my normal cynical self. A lot of women feel neglect when the new baby arrives as the focus of everyone’s attention is not her anymore. Not that women are attention seekers but having gone though rigorous labor or a c sec surgery makes mommies a tad too emotional and needy. The feeling of neglect grows manifold especially when the husband decides to pay extra attention to the baby instead of her. A little advise to the new Papas. For the first couple of weeks post-delivery, go out of your way to make your woman feel special. Just little somethings like flowers, a backrub, chocolates or a simple pat on the cheek. The feeling of being neglected with subside substantially and she will not feel sidestepped. A new mother in many cases is a proud mother. Today, women are well read and well informed. A little too informed actually. But having a baby is not about how well you know your shizz, it’s about hands on knowledge. A new mom is always under the scanner. What she does, how she raises the baby, the decisions she takes to that end, everything is being judged right from day one. And that is not a pleasant situation. A new mother needs to be advised only when she seeks the same from you. And you are out to give her some unsolicited advise, then be gentle and humble about it. She is already a sack of emotions and raging hormones. Do not judge her and put her to distress. Be supportive. A mother does not choose to not breastfeed her baby. But sometimes due to various reasons (which she may choose to divulge or not) the mother chooses formula for her child instead of direct breastfeeding. DO NOT SHAME HER. She is looking out for her baby and whatever made her decide to go a certain way, let’s leave the mother to it, shall we! Also, it took me a little over a week to feel emotionally connected with my little one. I had no immediate ‘motherly’ feelings taking over my mind as soon as I saw her, it took me time to get there. And I am glad I was not judged for the same. I eventually became the textbook version of a mother: overprotective, nursing, making goo-goo eyes at the baby. And that happened only because I was allowed to live with myself and not shamed for anything. Next time you meet a new mother, greet her with warmth and preferably a chocolate. There is nothing in the world that chocolate cannot cure.